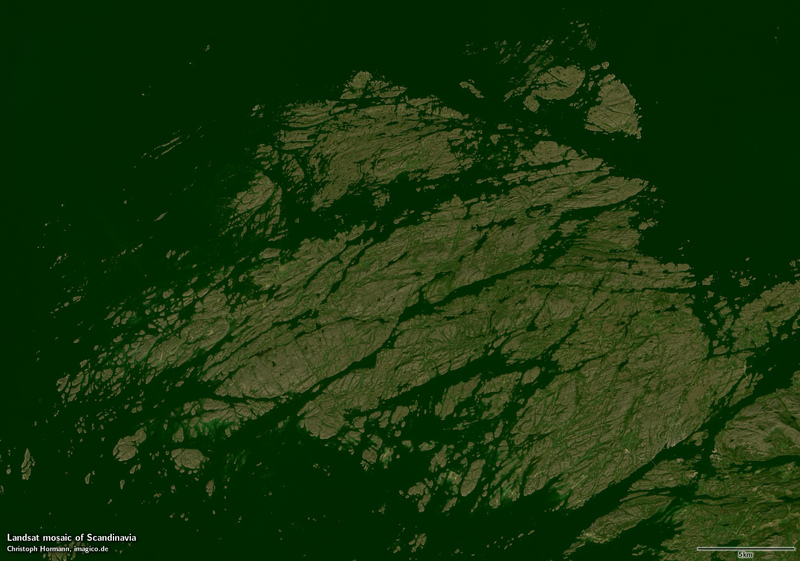 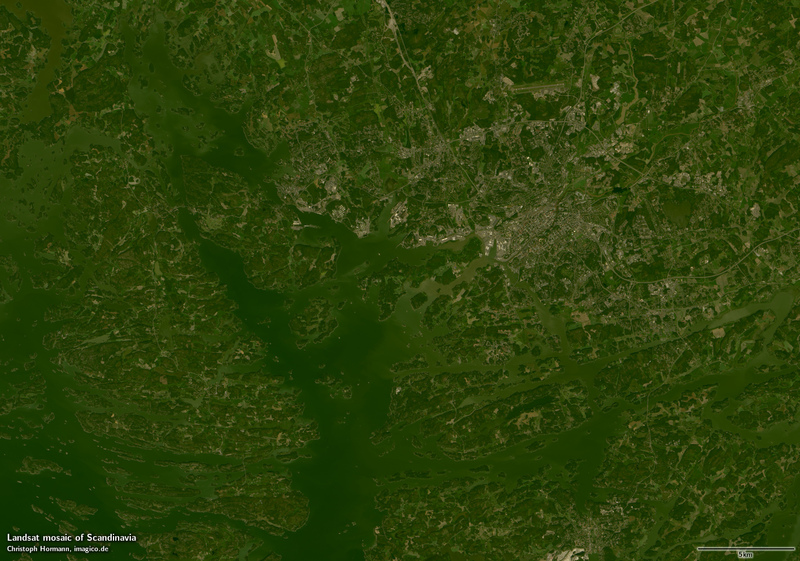 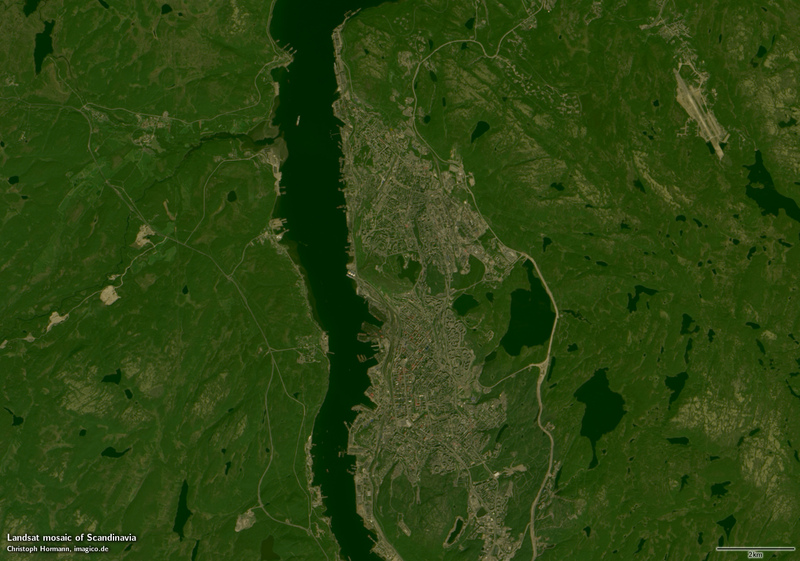 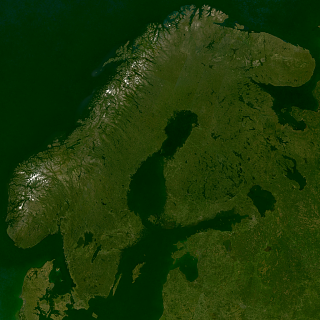 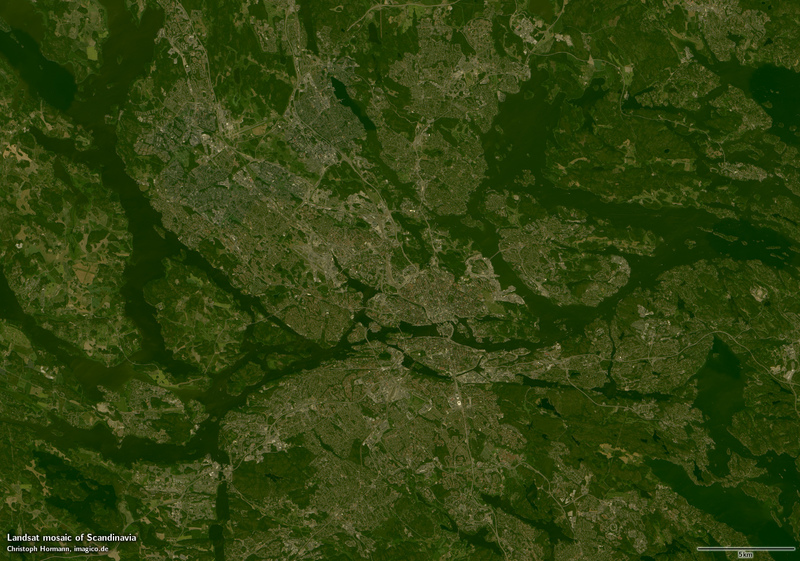 This Landsat mosaic of Scandinavia shows Norway, Sweden, Finland and parts of northwestern Russia, the region commonly known as Fennoscandia as well as areas around the Baltic sea including Estonia, Latvia and Denmark. 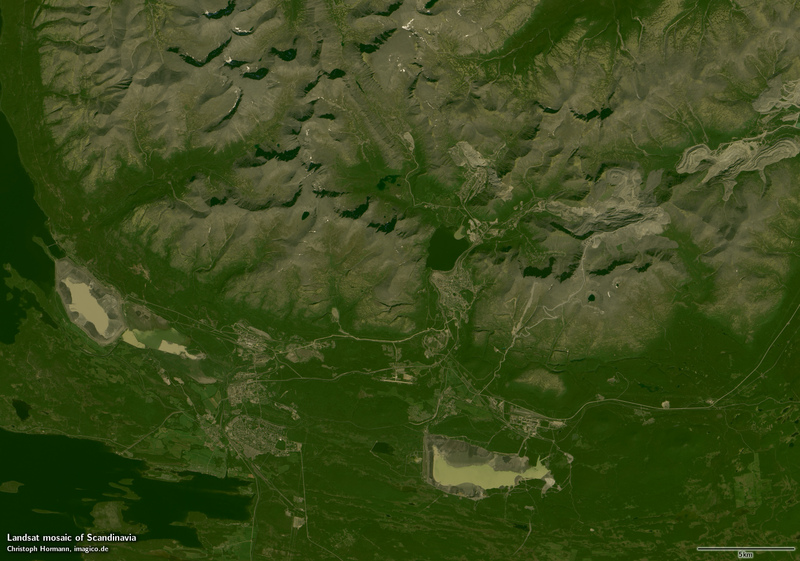 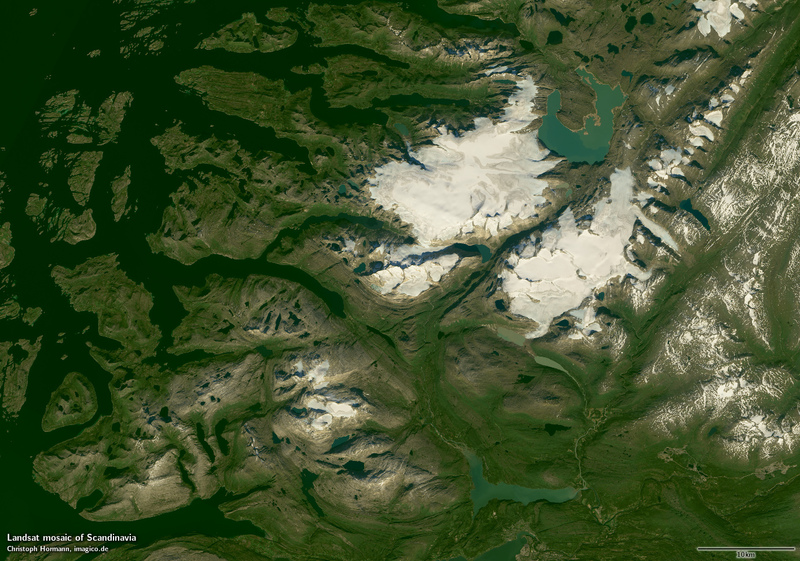 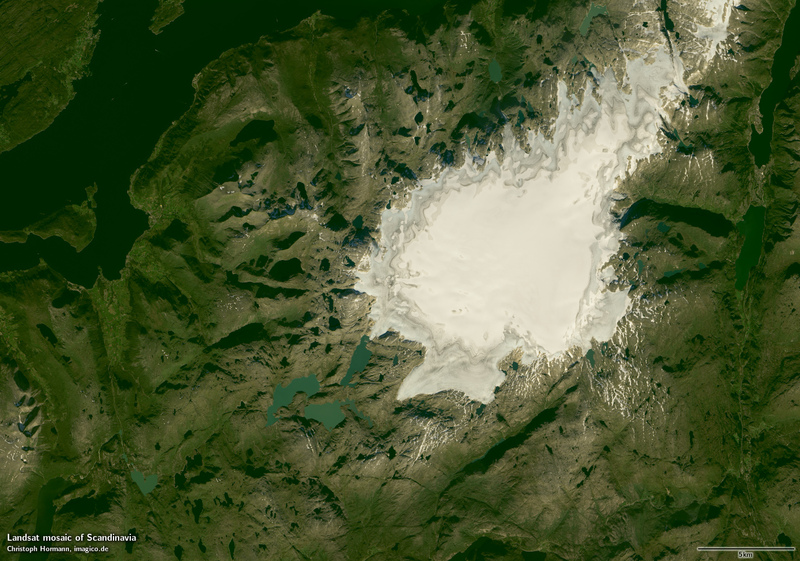 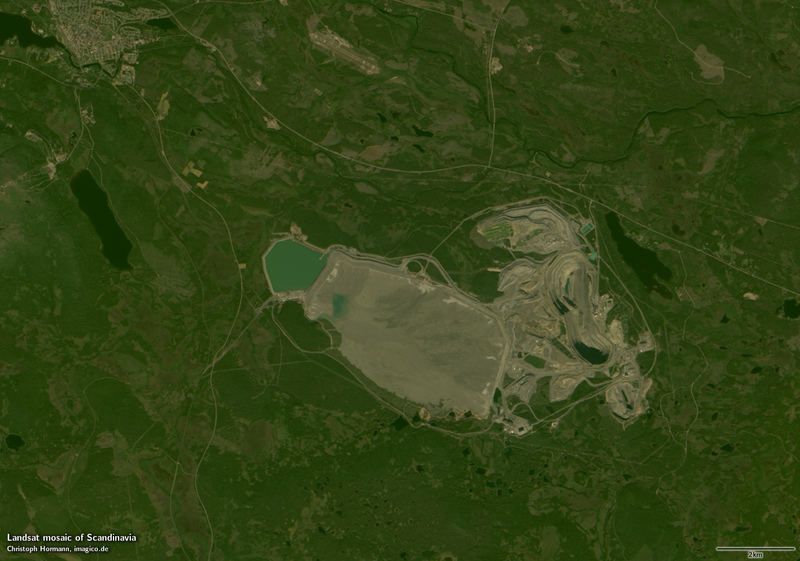 The image gives a realistic up-to-date visual color impression of the area as it appears in summer with a minimum of snow and a maximum of vegetation. 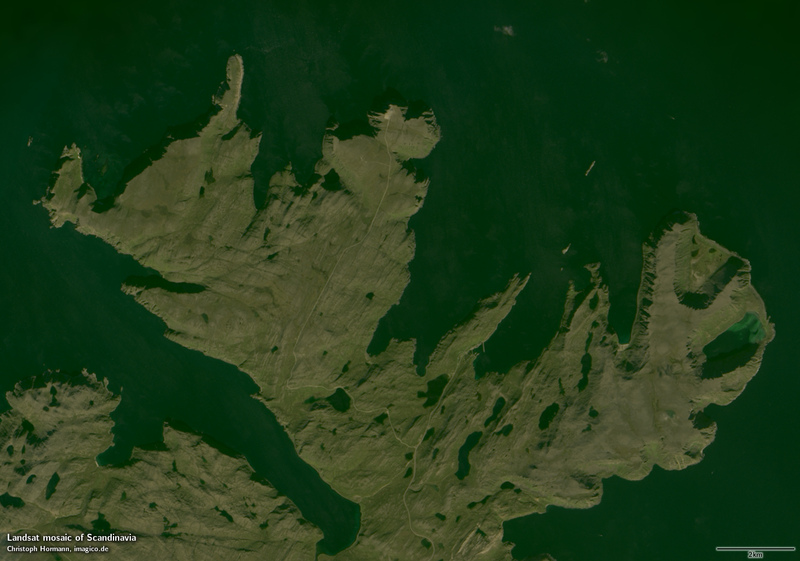 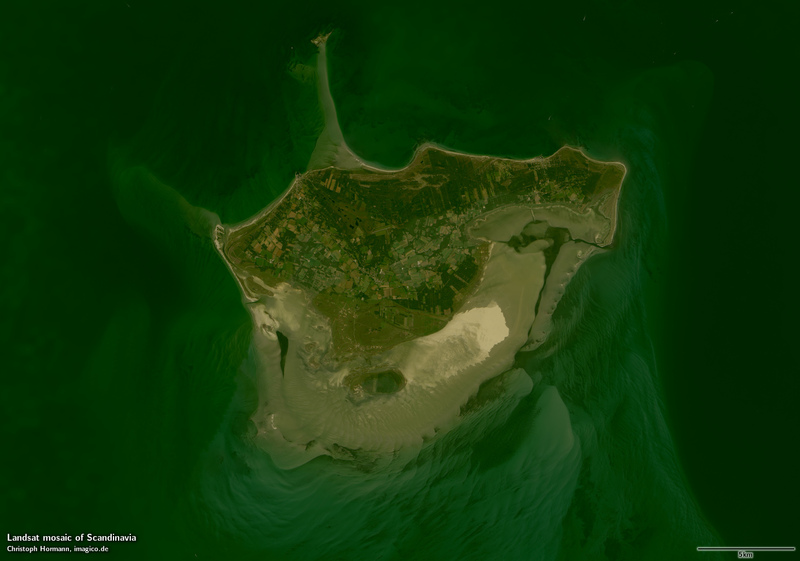 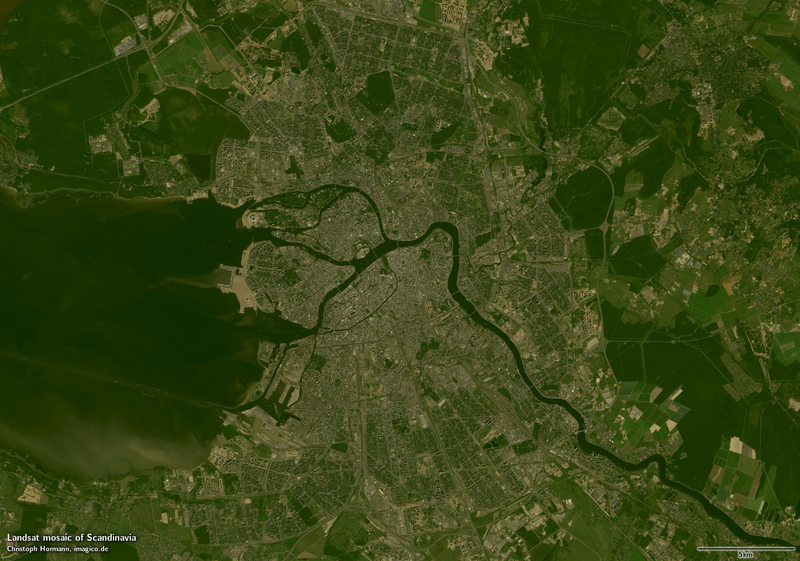 Source data is mostly Landsat 8 imagery from 2013 to 2015 with only few small areas where this has been supplemented by Landsat 7/5 imagery from 2004-2013.